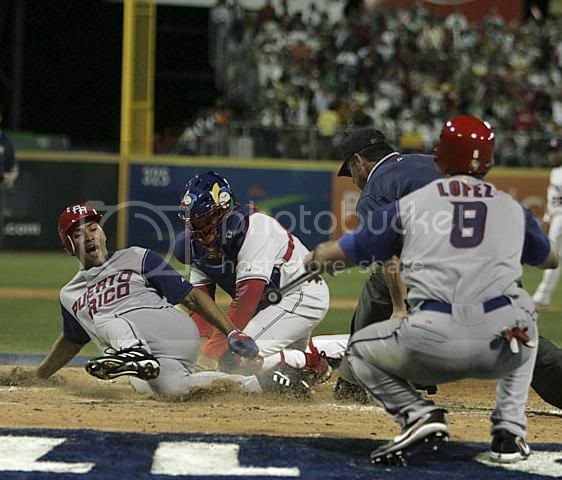 Unless you have been living under a rock, the World Baseball Classic has been up and running. Our national past time is now a popular sport in the globe. Unfortunately, the series hasn’t received a lot of attention. Instead, the sport has received negative press because of baseball players and their use of steroids. The sport has been tarnished thanks to the illegal use of the substance in which players thought would enhance their performance and bring more fans to the games. Fans no longer think the game is legitimate all thanks to players like Barry Bonds and Alex Rodriguez. Sadly, the attention and admiration for the sport has declined.For example, why aren’t the World Baseball Classic games on regular television networks? Instead, the games are televised on the Major League Network, which I didn’t even know existed. Personally, this series should be just as important as the World Cup; although, here in the United States we don’t pay too much attention because American fans aren’t to fond of soccer. Nonetheless, Baseball is our history. It is a sport that has done wonders for many countries and has put them on the sports map. For instance, take a look at Cuba and their national team. Baseball in the Caribbean island is in their blood. It’s what brings people together in Havana. The sport itself isn’t physical or aggressive, yet many sports experts say baseball is one of the most intelligent games because both the batter and the pitcher need to calculate before pitching or taking a swing. However, the game is very exciting, believe it or not, just take last night’s game between Dominican Republic and the Netherlands, which came down to the wire: The Netherlands defeated D.R. in extra innings. Remember, D.R. is a powerhouse. They have all-star players like Pedro Martinez, Hanley Ramirez, Moises Alou just to name a few. So, to have a no-name team defeat a monster is something huge. In fact, it’s a story that should be showcased in the front page of the sports sections all over the world. Remember, baseball is what keeps us entertained for six months since football season starts in August. Baseball has the team with the most championships ever won in a sport; I am talking about the New York Yankees. So, yes, football is awesome. Basketball and Hockey have their exciting moment, but Baseball brings the world together throughout the year. Plus, you can play anywhere under the hot summer sun in the sandlot. The game should be acclaimed and these games should be given a lot more press because Baseball for many is life. And, go U.S.A.
Next: Another tragic loss for the sport of wreslting.